Hi there! It's been a busy week around here with a couple of fun vacation days with the small man. I'm afraid I've been a bit neglectful of my crafting duties this Summer but I'm here to share my design team card for the new Corrosive Challenge today. 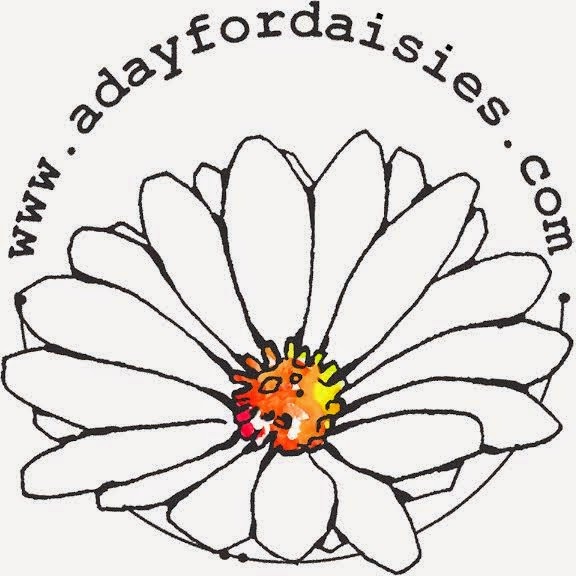 Our sponsor is one of my faves: A Day For Daisies! 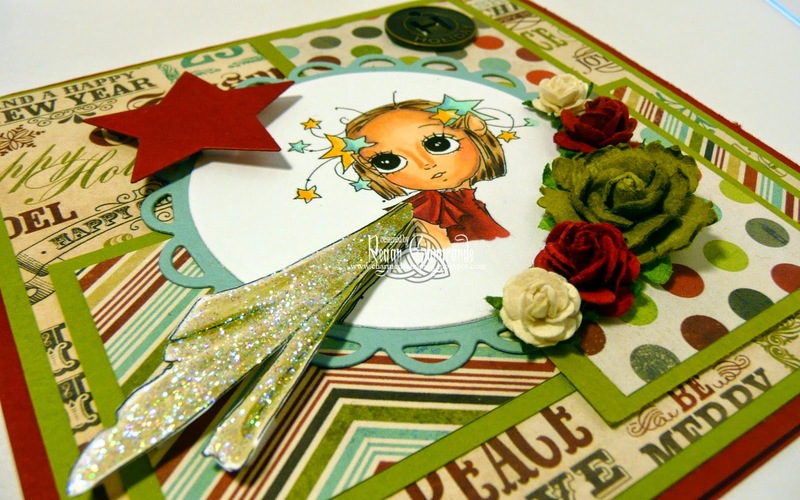 And though the holidays may seem a ways off now, they'll be here before you know it so why not get a head start on your card making with our "Christmas in July" theme?!?! A Day For Daisies owner, Tammy, is generously offering a $12 voucher to her store for our winner! She also allowed each of us to select an image to work with. I chose Wild Star Nymph. She is colored with Copics and I printed her a second time so I could fussy cut her wings for an "outside the box" effect. They are covered with a liberal amount of Star Dust Stickles. 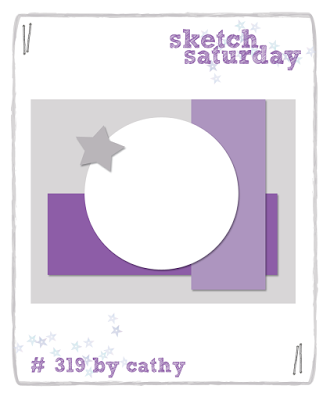 My layout is courtesy of Sketch Saturday (#319). Papers are My Mind's Eye - Lost & Found Christmas Special Edition. 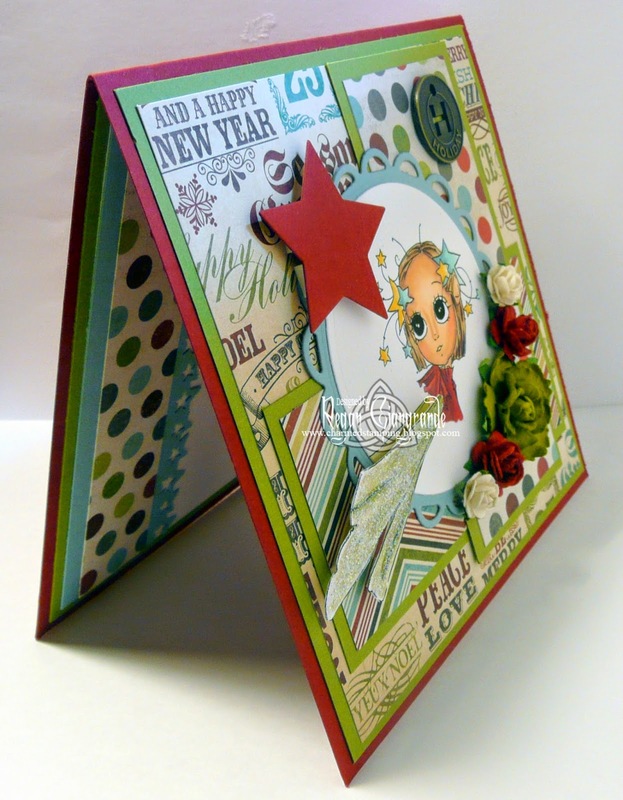 I used my Classic Circles and Lacey Circles Nestabilities (Spellbinders) to cut and mat the image. The star was created using the Stars Five Nestabilities (also Spellbinders). 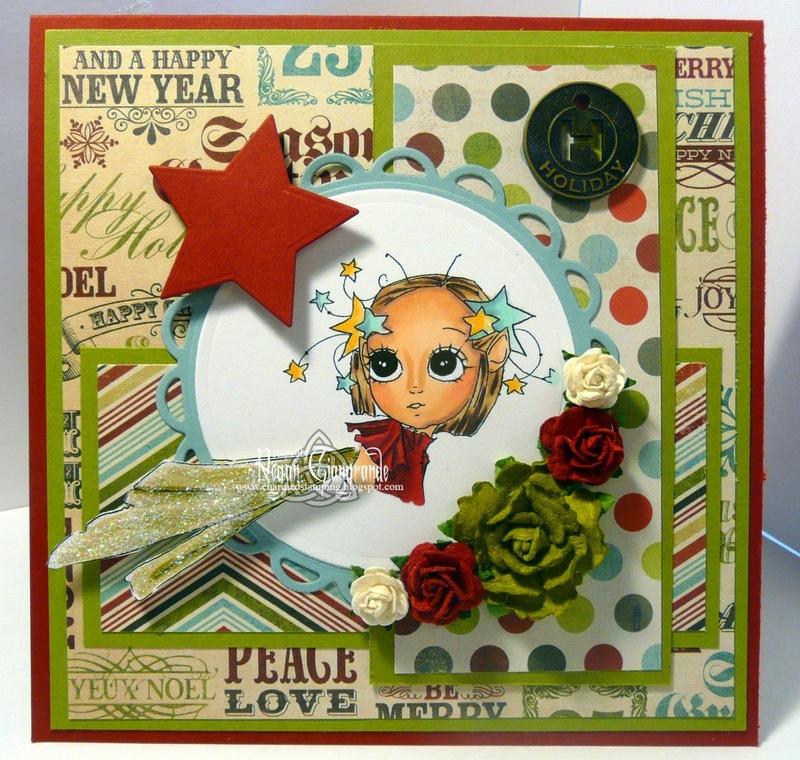 I added a Tim Holtz holiday muse token and a few flowers from my stash as finishing touches. It was fun to make a holiday card this time of year and I hope you'll join us for this challenge! However, I am enjoying Summer and am in no rush to see Winter weather any time soon! We just enjoyed a perfect beach day last week and I'm thinking I'd like a few more before I think of building snowmen instead of sand castles! I will be back later this week with another card or two so stay tuned! Thanks for dropping in and hope you have a fabulous day! Markers used: Copics (E00, E04, E11, E1, E23, E31, E79, R20, R37, R39, R89, Y32, Y35, YG91, YG93, YG95, BG10, BG72). Beautiful card .Your coloring is so beautiful. Thanks for joining us at Fairies challenge. Beautiful, gorgeous, great colors, stylish....just fab! Love this card, and the image is cute too. I like the way you Christmas'ed it up. Beautiful card and great take on the sketch. I love her "outside of the box" wings and the paper you selected all looks so yummy! Great detail inside and out. I wish had been able to play along with this challenge. Everyone did such fabulous work! Hugs!